We offer a variety of orthodontic treatments to help you maintain optimal teeth alignment and jaw health. 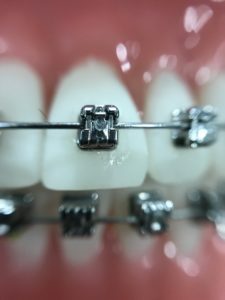 From classic metal braces to discreet clear ceramic braces to virtually invisible Invisalign aligners, we will recommend an ortho treatment that is best suited to your needs. Whether you need help with a problematic tooth, improvement for an unhealthy jawbone, dental implants, or otherwise, our treatments can improve your smile (and your life) in a number of ways. Did you know that dental problems are associated with bone loss, infection, and even heart disease? Oral health affects your overall health in many ways. 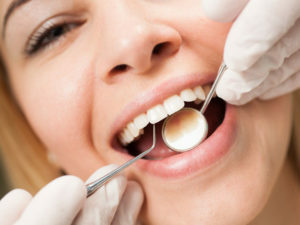 Great oral hygiene is the best way to protect your smile and your entire body. Here at Brea Dental Group, we focus on prevention, and we stress the importance of regular teeth cleaning and exams. 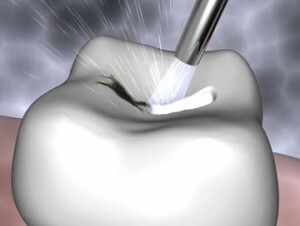 Endodontics, or root canal therapy, is the removal of infected tissue in the center of the tooth. Instead of extracting the damaged tooth, our endodontist will perform a root canal procedure to save it. 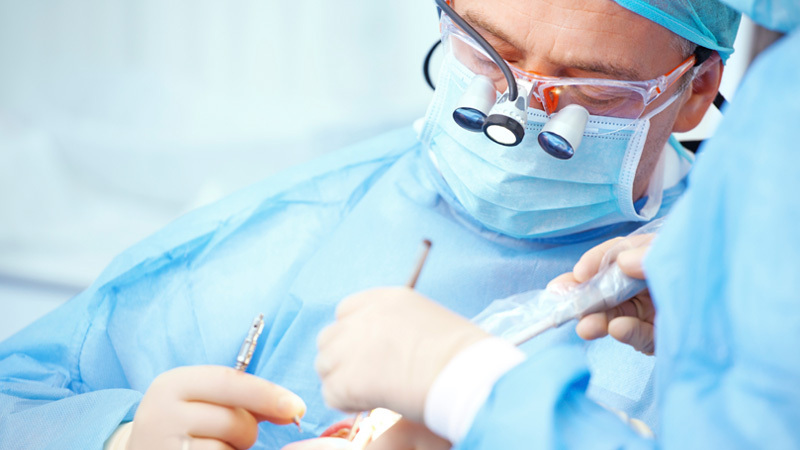 Extraction may seem like the obvious solution when there is extensive damage, but removing a tooth can actually be more expensive and complicated. Teeth discoloration is a common problem that can ruin an otherwise healthy smile. Discoloration is a natural consequence of aging, but it can also be caused by excessive consumption of certain foods and drinks, tobacco use, genetics, and some medical conditions. 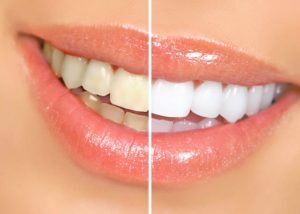 If you are unhappy about the color of your teeth and want a brighter, whiter smile, we offer professional in-office teeth whitening. We recommend porcelain veneers for the ultimate smile transformation. Because we have our own CEREC system and milling machine, we can do veneers in one visit. Dental veneers are thin shells of porcelain that are permanently bonded to the front of the tooth, changing its color, shape, and appearance completely. We offer both regular cosmetic porcelain veneers and minimally-invasive no-prep veneers. 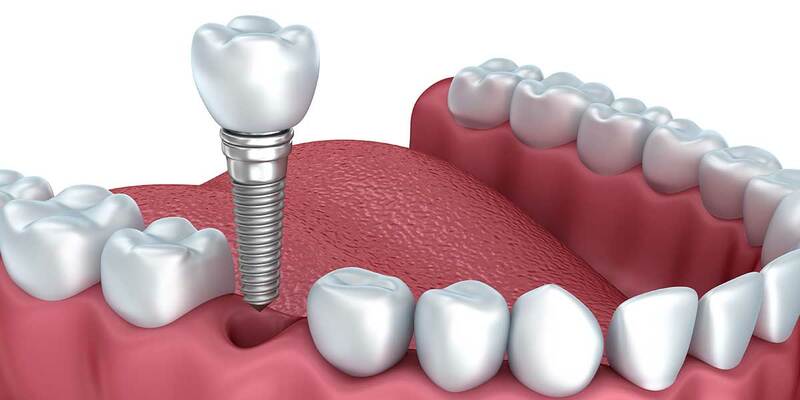 Dental implants are small titanium screws that are designed as replacement tooth roots. They can be used to replace individual missing tooth or several teeth. Because implants are embedded in the gums and bone, they are the most secure foundation for replacement crowns, bridgework or dentures. Getting dental implants is like growing new teeth. 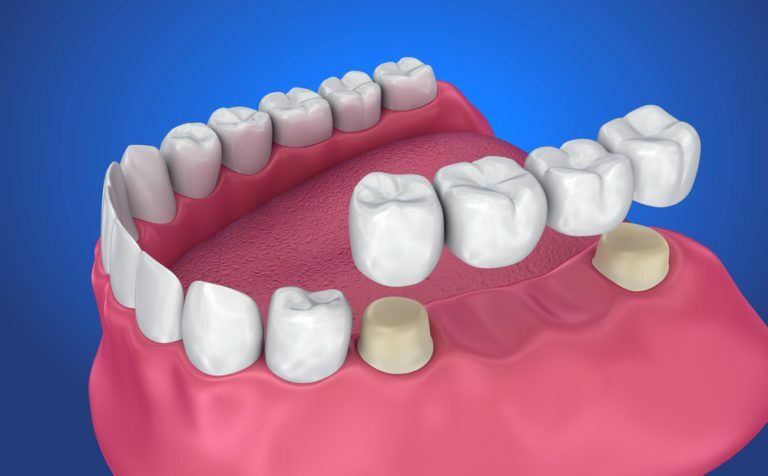 Dental crowns and bridges are used to restore the appearance and function of damaged or missing teeth. At Brea Dental Group, we provide beautiful, high quality restorations to create stunning and healthy smiles. Have cavities but afraid of the drill? 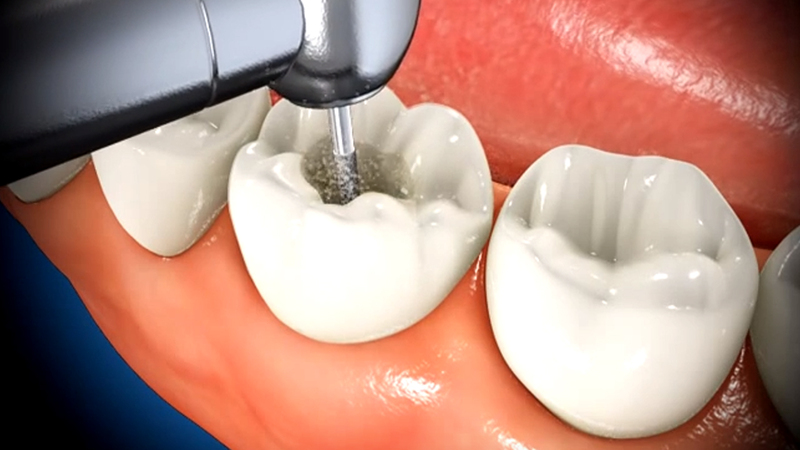 Air abrasion is a drill-less and virtually pain-free technique that we use to remove tooth decay and to perform other procedures. 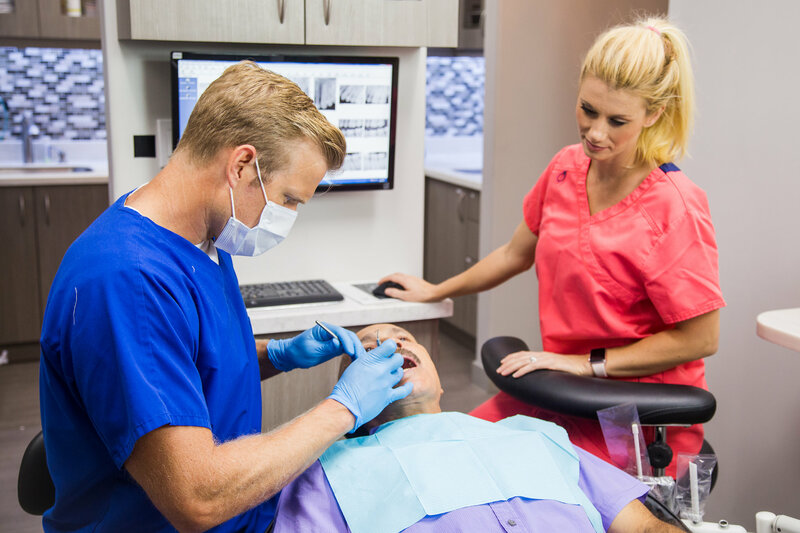 Air abrasion generates no heat, pressure, or vibration, and greatly reduces the chances of a tooth chipping or fracturing, which can significantly increase the life span of a filling. Invisalign aligners are a popular alternative to metal braces for adults, kids and teens. 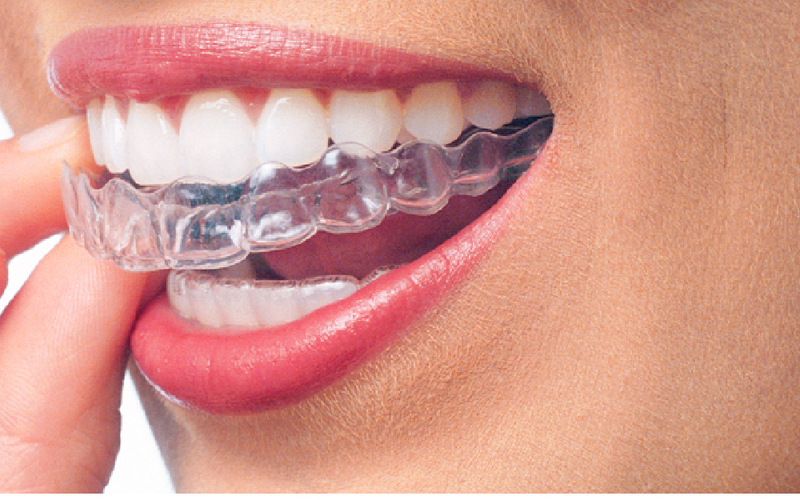 These clear aligners are virtually invisible, and can easily be removed while eating, brushing, and flossing. Don't see the treatment you're looking for? 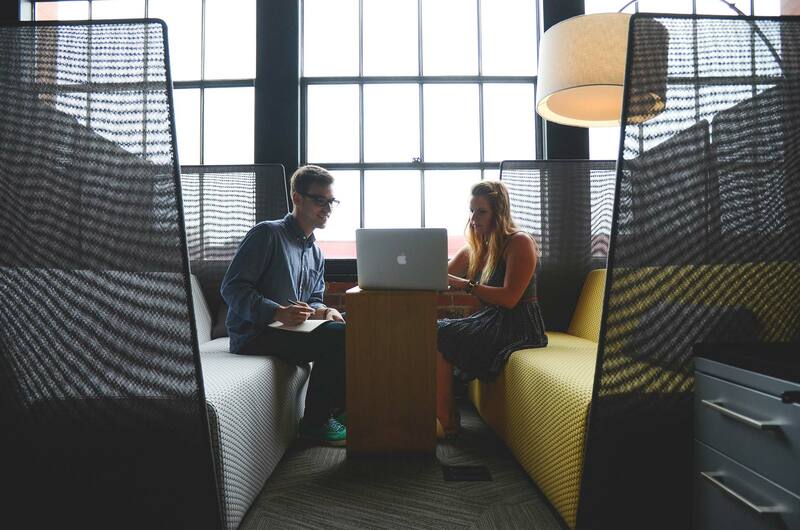 This is just a preview of the services we offer.